IIZUNA, Nagano March 13, 2018. St. Cousair Co., Ltd. (HQ: Iizuna-machi, Nagano / CEO Ryozo Kuze), a food manufacturing retailer in Japan, operating nationwide shops under the private labels “St. 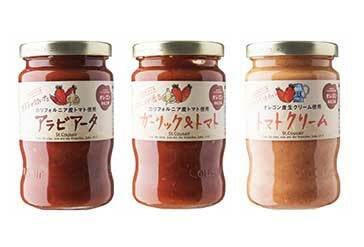 Cousair” and “Kuze Fuku & Co.,” announced today the release of its new lineup of Pasta Sauces produced by its subsidiary St.Cousair (SCOO, located in Newberg, Oregon, USA) for sale at its stores throughout Japan in April, 2018. The base of each variety of sauce is made from tomatoes grown in California’s Central Valley. The Central Valley is arid, but has fertile soil due to plentiful irrigation facilities. 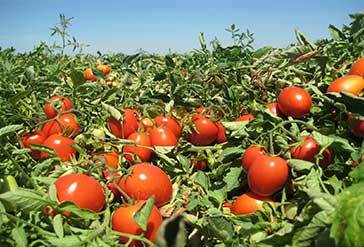 It stretches from the northern part of the state to the southern half, and has environmental conditions suitable for producing tomatoes with a high sugar content. St. Cousair’s new Past Sauce lineup is made from whole tomoatoes processed immediately after harvesting while they are still fresh, preserving their sweetness, and savory flavor. They come in 5 varieties: Tomato, Garlic & Tomato, Tomato Cream (each 280g/¥648 + tax), Dry Tomato & Tomato, and Arabiata (each 290g/ ¥696 + tax). Outlet products to be released on March 21, 2018. The production of these pasta sauces follows the same methods used at St.Cousair’s facility in Japan, however the combination of ingredients in this new lineup brings out the unique flavors of each variety. For example, the Tomato Cream sauce features a mellow fresh cream flavor, while the Arabiata sauce has the refreshing spiciness of hot chili peppers. Many who have tried the sauces, including St.Cousair’s staff, noted how these characteristics stand out in each type, and all are very excited about the upcoming release in stores. In March of 2015, St. Cousair sent Naoki Kuze, its director of overseas affairs to the West Coast of the United States. With the cooperation of the JETRO main office and its office in Nagano, Naoki conducted market research in the areas of the retail and business food manufacturing industries. In April of 2017, St. Cousair acquired the assets of the former Berry Noir Co-packing, consisting of 30 acres of farmland and a 1000 sq.ft. food production facility for the production of compotes, jams, juices and dressings. The employees were in agreement with SCOO’s management philosophy and decided to continue working. On April 29, 2017 (Japan time), executives of both Berry Noir and St. Cousair, as well as State Government representatives and officials from the Japanese Consulate in Portland, attended the signing ceremony and party for the agreement on the acquisition of Berry Noir’s assets. On May 1, St. Cousair held a ceremony to mark the beginning of production in the newly named facility, and the next day, production of food and beverages for sale in St.Cousair's retail stores in Japan began. The first product from SCOO was "Drinking Vinegar," the second was "Blueberry Compote," and in February 2018, a third product lineup, "Traditional Rich Jam" was released. Now, the fourth item: Pasta Sauces. St.Cousair will continue production at SCOO in the future, as it transfers 50% of jam and sauce production to its Oregon facility. Its next targeted product release will be a new lineup of jams in June of 2018.